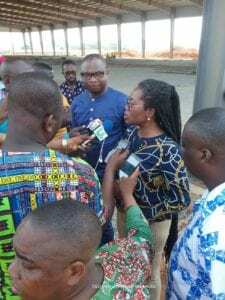 The Chief Executive of Ghana Export Promotion Authority (GEPA) Madam Afua Asabea Asare, has pledged her Agency’s readiness to assist export-ready firms in the Central and Western Region with developmental support, to enable them maximize their export potential. Speaking at a media interview during a working visit to the Regional Offices of GEPA in the Central and Western Regions, Madam Afua Asabea Asare acknowledged the efforts of local companies who were working against all odds to expand their production lines with the aim to deliver products of high quality standards for export. 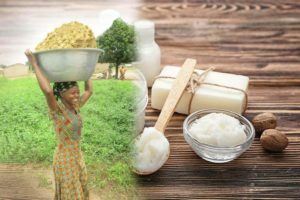 She explained that GEPA’s Regional Offices were mandated to facilitate the development and promotion of non-traditional export items, to contribute to the growth of Ghana’s export revenue targeted at US$ 5.3bn in 2021. Madam Afua Asare went on to extend an invitation to local companies in the Regions to reach out to GEPA’s Regional Offices for developmental assistance in preparing appropriate business plans and proposals for funding or technical assistance in producing standardized Non-Traditional Exports for ready markets. 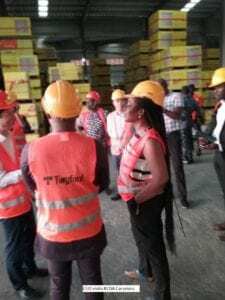 As part of the working visit, the CEO and her delegation made up of Messrs. Samuel Dentu, Deputy CEO in charge of Operations & Finance and Alexander Dadzawa, Director of Projects, visited a number of export companies to have first-hand interactions on their set-up and also identify new opportunities for upscaling their operations. 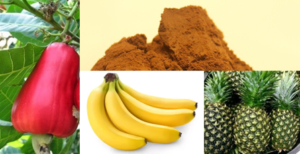 These companies included; Ghana Rubber Estates Limited, KEDA Ghana Ceramics Company Limited (producers & exporters of ceramic tiles and related products) GKV Limited (producers & exporters of virgin coconut oil), Abuesi Fish Processing Company Limited (producers of smoked fish) and Plot Limited (producers & exporters of enhanced cocoa products such as liquor, butter and cake). Other companies Executives of the Ghana Export Promotion Authority visited during the 3-day visit were Global Mamas (exporters of handcrafted wooden & fabric items) Yewodze Enterprise (producers of black soap for exporters) and the Ekumfi Pineapple Processing Company. and the Ghana Tourism Authority to complete the Craft Village project to enable the community and consequently Ghana, derive expected socio-economic benefits. 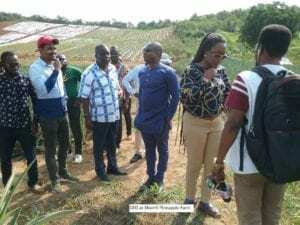 At Ekumfi, the GEPA delegation had the opportunity to assess at first-hand, the Pineapple Processing Facility Project funded by Exim Bank Ghana and the commendable yield of Smooth Cayenne Pineapple suckers GEPA had provided in the last quarter of 2017, for their out-grower expansion programme. It is expected that the facility will be completed soon for the production of pineapple juice, chunks and concentrate in varieties of packaging for export.